When the Sierra Kids Foundation was founded 11 years ago, it was with the intention of assisting Northern Nevada families affected by autism. By raising funds for the UNR Early Childhood Autism Program, they have helped countless children with autism get a head start on the road to living happy and productive lives. One of these children is Wyatt Fovel, age 6, and according to his parents, Lynn Fovel-Duncan and Matthew Fovel, the program has been nothing short of miraculous. 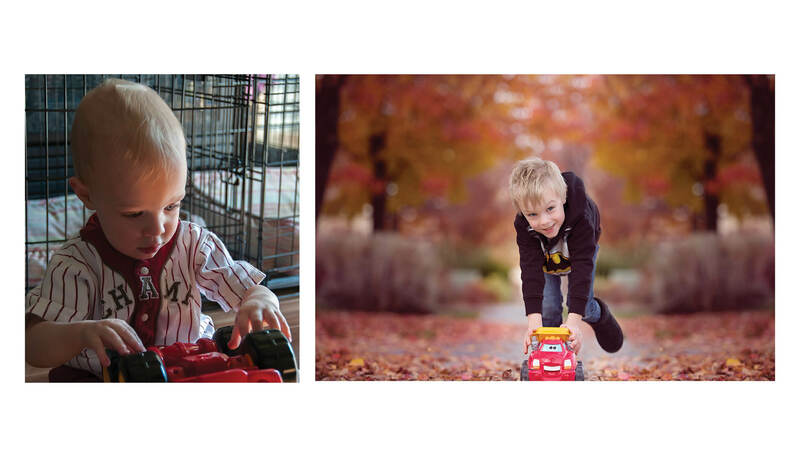 When Wyatt was born, he was very premature, and his parents were told that he might have some developmental issues. Since a baby’s eyes, lungs and ears are not fully formed at 29 weeks, there were worries that he would not reach major milestones at the same rate as other infants. Despite the concerns, Lynn says he didn’t have any health issues in his first couple of years. However, just before his second birthday, Wyatt’s parents began to notice some concerning behavior in their son. He stopped communicating completely, and began playing with his toys differently than he had before. Wyatt began fixating on things, like staring at the ceiling fan, or certain songs that he liked. Lynn says that she remembers a time when Wyatt would scream if she didn’t play “The Wheels on the Bus” when they were in the car. His tantrums began to worsen as well. The house the family lived in at the time had wooden flooring on the bottom level, and according to Matthew, Whenever Wyatt would get upset, he would relentlessly bang his head on the floor. Just before Wyatt’s behavioral changes, Lynn had read a book about a child with autism. When Wyatt started displaying the signs, she remembered what she had read and realized what might be happening. She told Matthew about her concerns and they decided to take him to Early Intervention where he was quickly diagnosed. Lynn began researching their options online and eventually her search lead her to the UNR Early Autism Program, and they decided to give it a shot. Though Lynn and Matthew weren’t completely sure about “The Ghezzi Program,” as they call it, at the beginning, their first meeting with the program tutors made them see that this was a place where Wyatt could make some real progress. Wyatt is now six years old, and in the two and a half years that he has been in the program, his parents have seen a complete turn-around in his behavior. Matthew says that the Wyatt he sees today is unrecognizable compared to how he was just a couple of years ago. He is no longer the three-year-old with the welt on his head, silently avoiding eye contact, and spinning the wheels on his toy trucks. Today, Wyatt is an imaginative, precocious six-year-old, with a love of cars and a desire to interact with other children his age. Wyatt of course still has his quirks, but as Matthew points out, everyone has their quirks, whether they have autism or not. Wyatt still has some issues interacting with children his age, but his tutors from the program have been working hard to help him through it and hope that soon he will be able to interact with his peer unassisted. Lynn and Matthew admit that at first, the Early Autism Program was a bit of a culture shock, and that the hands-on nature of their teaching methods may not be right for all families. However, they both agree that seeing Wyatt blossom and come out of his shell has made the experience worthwhile.